Video: Want A Cheap Evoque? Get A Clone From China! Home / Automotive / News / Video: Want A Cheap Evoque? Get A Clone From China! I'm sure most of us know that you can get almost anything from China at half the price of what it costs anywhere else. It's not for any other reason though that the products are knock-offs of the originals from elsewhere in the world. Their patent laws are so lax that Chinese manufacturers can blatantly plagiarise the design of, well, anything they like. And they do. Often. 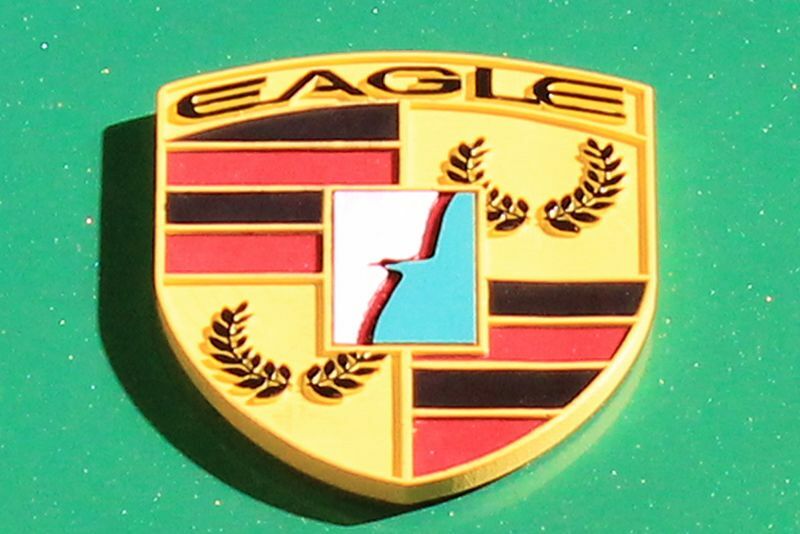 The Suzhou Eagle, for example, looks like a Porsche Cayman with headlights from a Ferrari California, they have even butchered the Porsche logo but with an eagle. And, how about the BAIC Concept – a Range Rover clone with bits of Jeep Cherokee elements stuck on. Or the Land Wind X7 that is a blatant copy of the Evoque, they didn't even try to make anything unique with this one! Porsche is clearly a favourite over there as the Zotye SR9 is a knock-off Macan. It would be really difficult to tell it apart from the original. The Jaguar iPace is next to be butchered by the chaps at Hanteng EV, a relatively new manufacturer we couldn't find reference to! It is electric – if that makes a difference. Next up is BMWs X5. Oops, we mean the Shuanghuan S CEO. This one's a real pearler of a story though, they had the audacity to launch it at the Frankfurt Motor Show. BMW lost it, sued, won, and all the S CEOs were ordered to be destroyed. High-five BMW! If you're feeling more stately, then get yourself a Geely GE Excellence. It looks like a Rolls-Royce Phantom but it'll only set you back the equivalent of $44 000. Bargain! The Dongfeng DFM Warrior Hanma is perfect for those who always wanted a Hummer but can't get one because Hummer is no more. It's an H3 knock-off up front with a bit of Land Rover Defender at the back, but we're sceptical it'll be able to cross the same terrain as either of those were designed to demolish. Although you could get two for the same price as the H3, so you'll have an extra for when the first one breaks. Mercedes-Benz must have had heart failure when they saw the BAIC BJ80 PHEV (who are at it again), a G-Wagon look-alike. Especially when they saw the Jeep grille slapped onto the face of it. It's about 2/5th of the price of the Merc, so that's something. But, the best for last we always say. What do you do when you're bored of your Suzuki Cappucino? Well, you turn it into a Nissan GTR! Well, sort of... The NATS GT K is simply horrific, especially with its 0,6 litre inline 3 engine. But the worst part? It's available to the public to purchase. And there you have it. This story has brought tears to our eyes and, no, they're not tears of joy. It's rather like the tears of pain you feel when you kick your pinky toe on the foot of the bed. Video: 1958 Land Rover 109 Series Ii Gets A Makeover! !